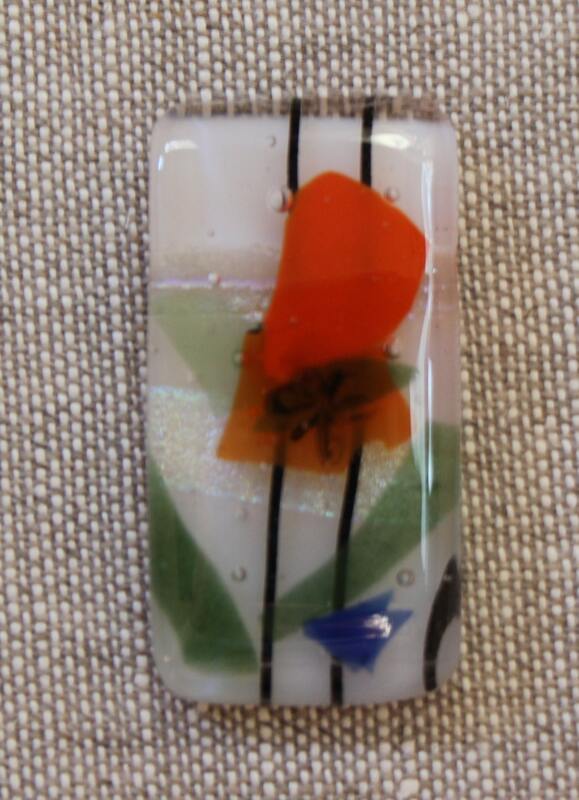 Unique abstract floral piece made of dichroic fused glass. This is another piece I purchased in Destin, Fl. after a hurricane a few years ago. It's simple and elegant at the same time. I can picture it worn alone as a pendant or even incorporated into a simple design with mother of pearl to compliment it. I think of Easter flowers when I look at it. 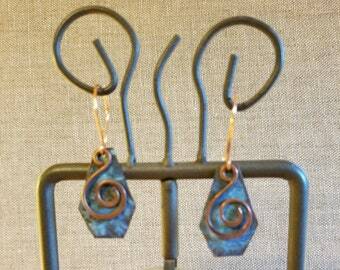 The piece measures 2" in length and an inch in width. The hole for stringing is 1/2" down from the top. This would make a fabulous gift for Mother's day this year!